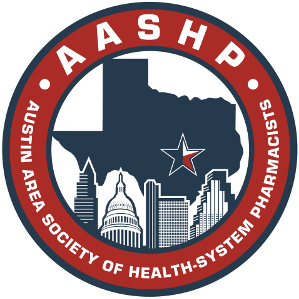 The Austin Area Society of Health-System Pharmacists Constitution has been amended with changes to the by-laws. The changes were approved by the membership at the October, 2007 meeting and the amended Constitution has been posted on our website (click to download). Thanks to the officers of AASHP and especially Deanna Dossey, AASHP Past President, for spearheading the process of amending the AASHP Constitution so that we may better serve the members of our organization.